Although she lives and works in Berlin, Sol Calero's art has the freshness and colour we might associate with Latin America – she is from Venezuela, and is intrigued by the cultural stereotypes of which she's become highly aware as a trans-national artist working in many countries and cultures. 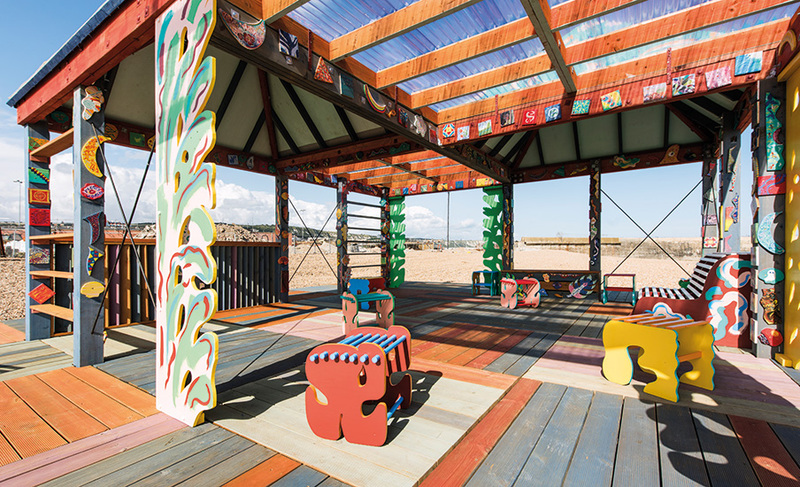 Casa Anacaona (co-produced with Womad World of Art) is a collaboration with local ‘creatives’ to make a ‘social space’ for people to gather for formal or informal activities. 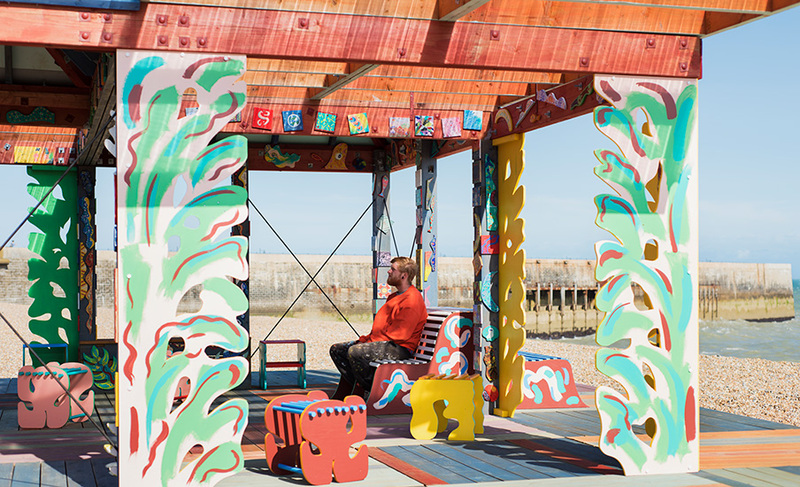 The brightly painted furniture contributes to the sense of 'place' within which visitors may have a 'cross-cultural' experience, nudged to consider cultural differences and the stereotypes that loom large in our thinking. Sol Calero’s practice refers to Latino culture and its exchange of influence with Western European traditions, revolving around the notions of ancestry, culture, and the transformation of meaning that visual symbols can undergo in society. She is interested in reflecting the ambiguity of cultural signs, and investigating the way in which meanings can proliferate and change. Calero makes paintings and drawings, but also works with found objects, fabrics, and site-based practices including installations incorporating Salsa dancing sessions, hairdressing salons and cybercafés. She is the recipient of several international awards and has exhibited widely in Venezuela and Europe. She has recently been honoured with a solo exhibition at Dortmunder Kunstverein, Germany and this year she was nominated for the Preis der Nationalgalerie in association with Hamburger Bahnhof, Berlin. Sol Calero was born in Caracas in 1982 and studied at Universidad Complutense de Madrid and Universidad de la Laguna in Tenerife. She lives and works in Berlin, where she runs a project space with artist Christopher Kline, entitled Kinderhook & Caracas, so named after their hometowns.